The best ELF makeup review on highest and lowest quality items carried by Eyes Lips Face. One of the best blush and cheap makeup brushes selection for a very affordable price, compared to Bare Minerals make up. ELF makeup is a very popular new company that has launched an incredibly budget friendly line of makeup for teenagers and women. 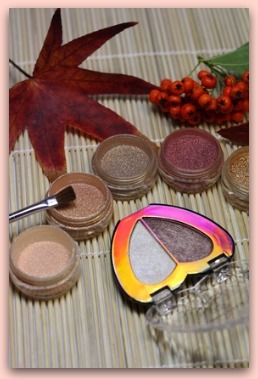 Some of the best blush items and decent quality cheap makeup brushes are carried by Eyes Lips Face, Inc. Many of their products have been featured in mainstream magazines like Glamour, Elle, and Marie Claire, and have gained a dedicated following among the cash-strapped younger generation. Most of E.L.F. 's products cost either $1 or $3, a large savings in comparison to brands like Maybelline, Clinique, and Revlon. The company keeps their prices low by relying on natural advertising (word of mouth and reviews) to keep customers coming back. They also limit costs by cutting out expensive packaging. Elf makeup doesn't come in fancy jars or pots, but it is certainly something to try out if you're looking for quality makeup at a discount price. Here are our favorites! We love the Luscious Liquid Lipstick in all of its eleven different shades. This is a cross between gloss and lipstick, with pigment that is dense enough to leave nice color, but not as dense as a lipstick. This non-sticky makeup can be worn everyday for a gorgeous look year-round. Another favorite is the Eyebrow Treat & Tame, available in four shades depending on your hair color. On one end is a colored eyebrow mascara that is somewhat sheer; this ensures that your eyebrows don't look obviously filled in, but rather naturally enhanced. On the other end is a clear eyebrow gloss that can be used for a finished look. A few more of our favorites include the natural radiance blusher, the mineral face primer to smooth bumps and wrinkles before applying makeup (hint: This stuff is used by famous celebrity makeup artists in Hollywood! ), the All Over Colorstick for a pretty glow, and E.L.F. 's collection of high quality makeup brushes, which go for a buck apiece. Overall, E.L.F. 's best products are in their lips and eyes collections. The price is right! The majority of E.L.F. 's makeup line costs $1 per product, something anyone can afford. The price increases a bit more for the minerals and Studio line, which have some of the best products they can offer. 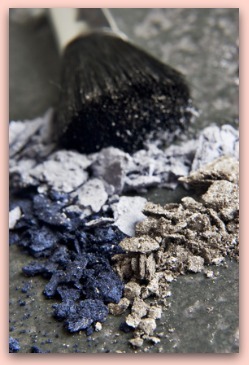 The mineral shimmery eyeshadow costs $3 per pot and around $3-6 for a variety of the mineral powders. The Studio basics, such as lip glosses, lip balms, bronzers, blushes, concealers, eye primers, and the shimmer palette cost $3 as well. Foundations, body glow and face primer come out at a whopping $6 each. The Elf makeup company has more than one hundred products available for sale on their website, all costing between $1 and $6 (with exception of the makeup cases and prepackaged gift sets). Shipping gets a B- review here at makeup central. The price is great- for a $7 flat charge, you can order as much makeup as you want in one shipment and the price stays the same. You can even double up with a friend to split the shipping, as long as your makeup is all ordered together and sent to the same address. Talk about cheap! The downside is the shipping time. ELF states that orders will be shipped out within 3-5 business days, and may take up to an additional 5-7 business days to actually ship and be received. Canada, Alaska, Hawaii, and Puerto Rico can expect up to three weeks shipping time. In my personal experience, I received my makeup in about one week. While it was hard to wait through the excitement of ordering, I didn't feel that waiting one week was an overly long amount of time. You make the call. While most of the Elf makeup product line is really good and fun to experiment with, there are a couple products we ordered that didn't pass the quality test. The first was the Shimmering Facial Whip. With a name like that, who wouldn't want to order it? But, we found the facial whip to be a bit more of a facial stick, with a gooey feeling you definitely wouldn't want to leave on your face. Even if you were willing to feel gooey for the sake of beauty, we didn't find that it was incredibly brightening or gave a fantastic glow, so overall the product received a thumbs down. The second (and last) no-go product was the Complexion Perfection rainbow compact. Made up of four squares with pastel blue, pink, green, and yellow, this complexion booster looks prettier on your vanity table than on your face. It did work to lighten the skin slightly, but we didn't think our faces looked much brighter or more enhanced on fair skin. Try the Allover Colorstick for a pretty color boost that blends naturally. Return to Makeup Tips Home from "The Elf Makeup Review"